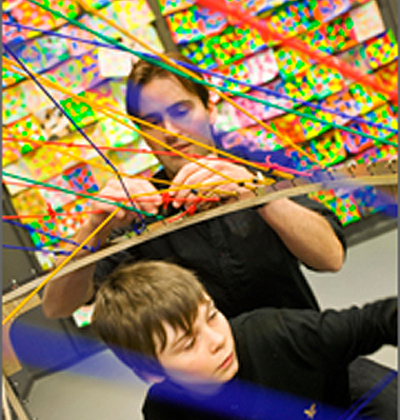 With the help of a researcher, visitors can look at how different areas of mathematics work. The format is a voyage of discovery through the world of mathematics where different maths phenomena are studied. This activity was carried out by Navet Science Centre’s Mattepalats (Maths Palace) during Researchers’ Night in Borås. Target group: Suitable for a younger target group. Preparations: Appoint someone who can run the activity. Decide on a venue and format. Organise materials and participating researchers. Market the activity. Benefits: A way of making mathematics fun and interesting for a younger target group.